Thank you for choosing Diamond Pier for your project. You can download our Full Installation Manual, or browse through the sections below. We do highly recommend reviewing each section of the manual before your first installation using Diamond Pier. 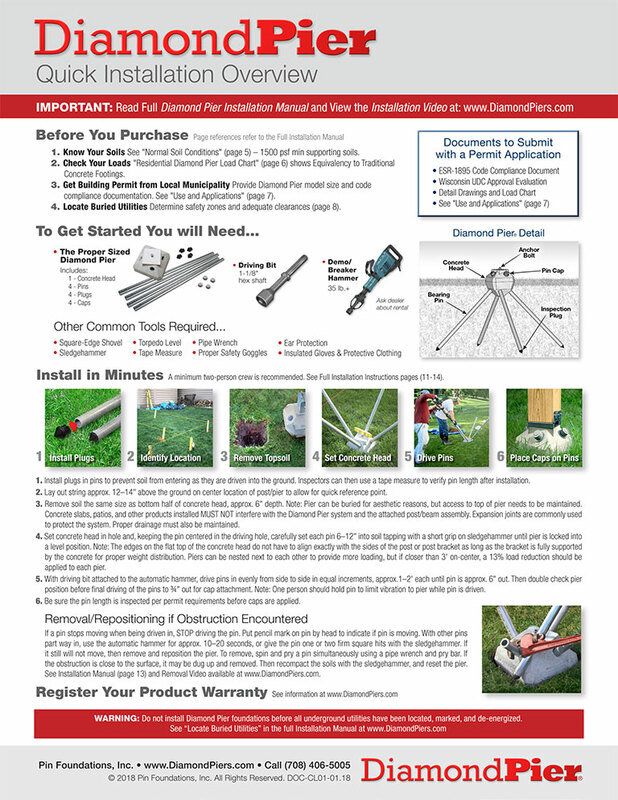 Discover how easy it is to install Diamond Pier. Watch this 3 minute installation uncut and in real time. Need to change the position of your Diamond Pier? No problem. Watch how easy the Diamond Pier is to remove.